Anytime I find myself listening to EDM or electronic genres, there comes a point where everything starts sounding the same. KANEHOLLER did not fall victim to this EDM monotony. I had no idea what to expect as the duo walked out on stage with the fog machine on full blast (they were opening for The Ting Tings). As soon as the music started, I knew these two were going to be different in a good way. 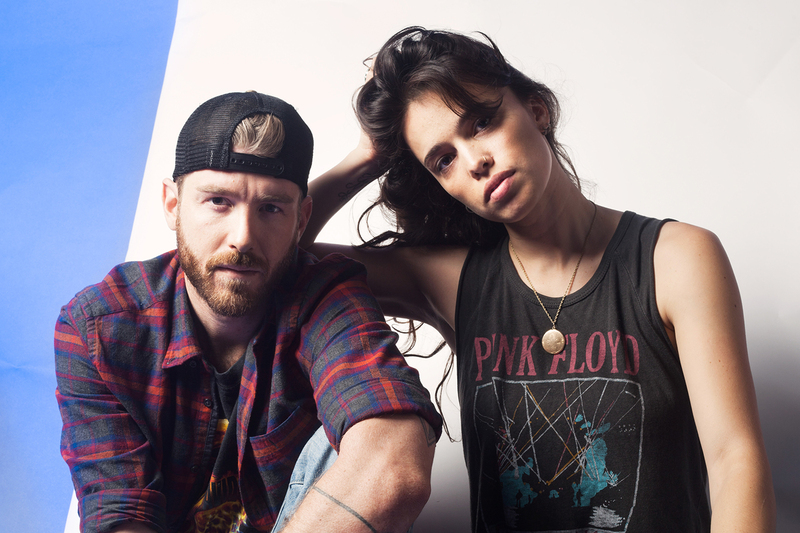 The thing that sets KANEHOLLER apart from most other EDM artists is the vocal ability of Chelsea Taylor. Chelsea’s rasp and intensity is reminiscent of Sia’s style, but also has the smoothness of a seasoned jazz vocalist. Jon Foster, the other half of KANEHOLLER, has also got such a cool voice as he sings back up. His stage presence while manning the sound boards compliments perfectly with their upbeat sound. On top of their musical talents, they are some of the nicest people! Check out their three EPs here.